Have JKP Sports photograph your sporting event! For sporting events, championships, tournaments, meets, invitationals and more, JKP Sports provides high quality action photos for ALL the participants. We are also available to do award photos where needed! Looking for Race photography services? Click here. We offer on-site action photography services to sporting events around the country, where all of the participants get the opportunity to purchase unique, one of a kind, action photos which makes the parents and athletes happy! We offer on-site printing with custom-made templates for each event. We can use your logo, sponsors logos and more! We offer a generous kickback to the host, images for websites and social media to be used and more! Call us today to discuss your options. Our services are unique because instead of showing up, charging a high price for one child to be photographed at a time (if the parent can afford it), we like to offer every parent an opportunity to purchase an action photo of their child. Also, unlike many on-site printing companies, we offer one on one help finding the participants images, and building the composite for you, rather than leaving the parent lost in front of a sea of computer monitors and too many decisions. Parents love the different style options for prints, and the professional action photographs taken. They especially love that they get to go home with these photographs the same day (on-site printing)! Everyone gets photographed (at no charge), not just those who pre-pay high prices. Everyone has an opportunity to see the photographs and then they purchase their child’s photographs only if they want them. Our print/product prices vary from $15 all the way up to $65. We offer everything from 5×7 and 8×10 prints in deluxe cardboard frames or high quality wood plaques, as well as the option to buy the digital files for their own printing or for putting on Facebook, emailing, etc. Save time dealing with less vendors! While our primary objective is sports photography, we have found that Event Organizers are so busy dealing with a variety of things that it is very hard to juggle all at once. So, in addition to just offering photography services, we have now begun offering these great optional add-on services for you as well. 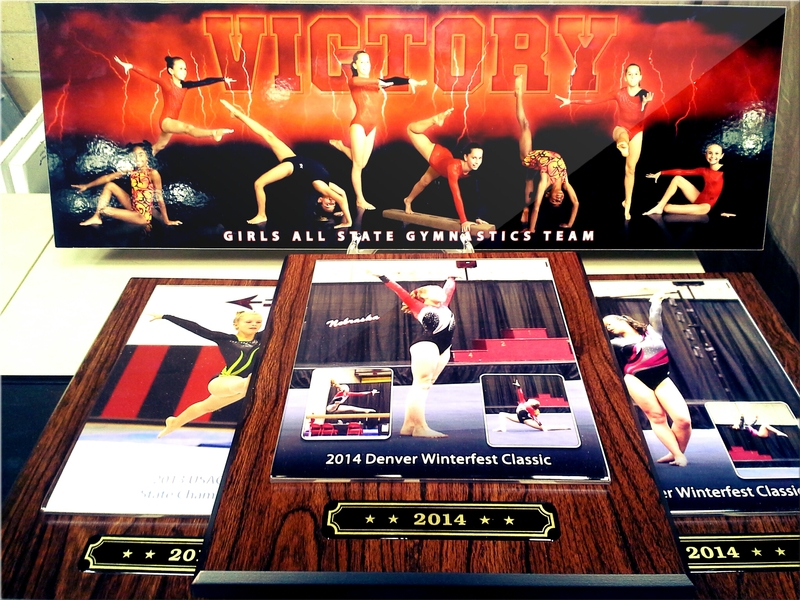 Steel Images – We can offer a variety of steel souvenir products catered specifically to your sport. Custom Apparel – We can bring you custom apparel, when you need them at your events.